This project is the type that I really like doing. The original handle on the EKA Nordic W12 is a functional piece of plastic. It's plastic that has no soul! 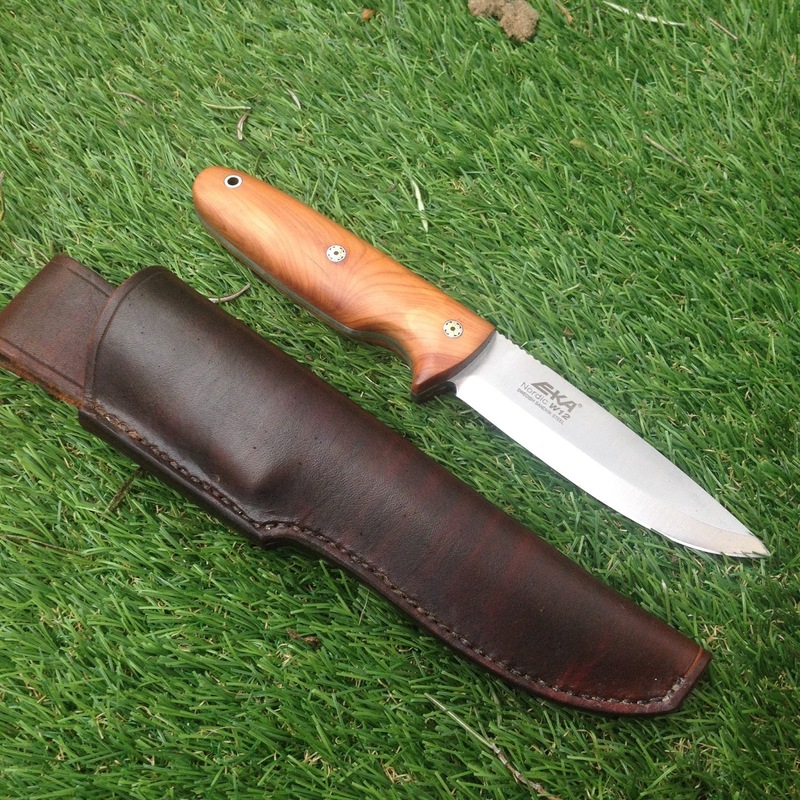 The Yew wood that has gone onto this has transformed it into a very different knife, in my opinion. Mosaic pins were requested and they work really nicely with the warmth of the Yew. A new sheath has been made in leather dyed brown. I hope the chaps at EKA see this and consider adding Yew to the line up of their knives! A second rehandled Lofty Wiseman Survival Tool!